Finished with Your College Essay? Celebrate! 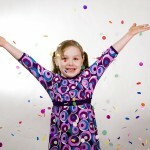 Write Great College Application Essays and Stay Sane, Part 16: You’re Done… Celebrate! Well, you finished your college essay! And probably you are pleased with yourself and your parents are, too. You see yourself in more focus than you did before you wrote the essay. Writing is a growth experience, and learning that you learn more about yourself by writing is an important lesson. It’s time to celebrate. Dinner out, a new piece of sports equipment, getting tickets to an event, inviting special guests over, preparing food you love, buying and reading a book just for fun. Come to associate the work of writing and revising with rewards. And let your parents celebrate with you — it takes many people to support the solitary writer in his or her experience, and they are all happy when writing succeeds. If you really like your essay, think about sharing it with family and close friends who matter. Think about sending it to a magazine or newspaper that might publish it in a particular section after the deadline for applications. If you like writing, continue to write from your life experience through journaling or writing more essays. If you have a group of friends who all like their application essays, have a reading for your parents and relatives — the blend of voices and experience will make them proud, and will be a wonderful gift for all they’ve done hoping to get you healthy and skilled and strong to this time in your life when you are preparing to leave. Everything you’ve learned in this process for writing the college application essay will help you in college writing, whether you are writing for Freshman Composition, other courses, doing research papers, or taking essay exams. Read the question or topic you are to write on. Brainstorm experiences (including what you have read and heard in lectures) concerning that topic, think about what attributes the topic is hoping to lead the writer to explore, and write an outline that incorporates those attributes into a story of some kind –an essay that utilizes one or more of the patterns of thinking we discussed. Then use the Three-Step Response method as many times as needed. You can have someone send you responses in the three steps over email: one email might be for Velcro Words, a second for Feelings A and B, and a third for curiosity. Or cram the responses from each step into one email. Or use the phone. Or make new writing buddies you meet with in-person at school. You will be writing full, insightful papers, learning more about yourself and the world, and not suffering from frustration. May your essays get you into the schools you desire to attend. Most importantly, may putting yourself on the page help you realize your depth, spirit, and love of learning. Keep writing. It’s not going to be so bad! Thanks for joining us for the last installment of Staying Sane through the College Essay Writing Process, a series that offers college applicants and their parents advice on how to stay on track for completing Ivy-worthy essays…without flying off the handle. We hope you enjoyed this final part of the series, and STAY SANE!